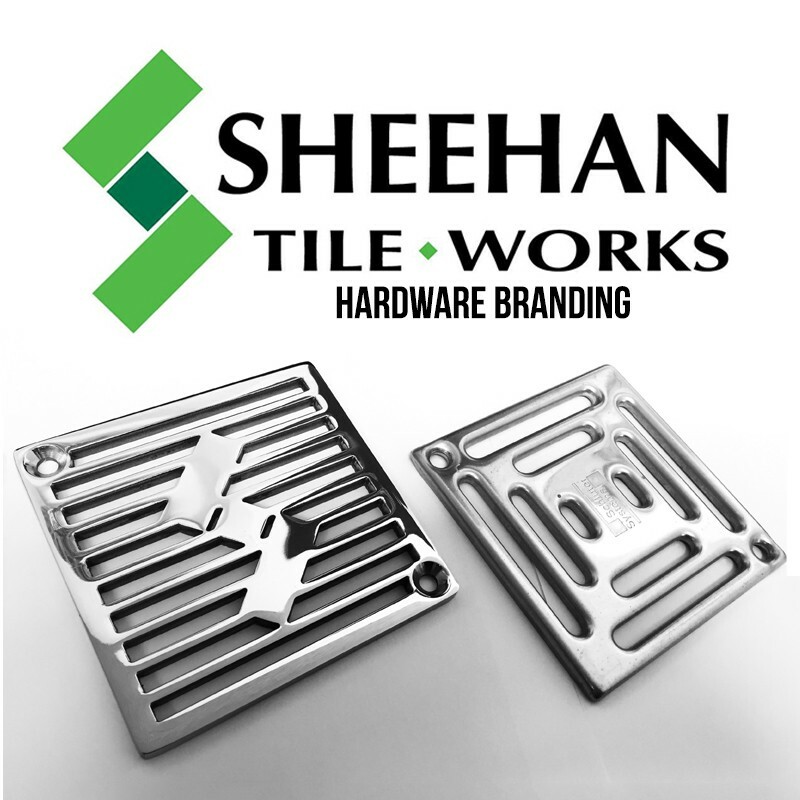 Branding Hardware : Sheehan Tile Works. Your Brand Is Your Promise To Your Customers! The effectiveness of a brand isn’t just before the purchase, but it is about the life of the brand & the experience it gives a consumer. A brand not only creates loyal customers, but it creates loyal employees, because your brand gives them something to believe in, something to stand behind. It helps them understand the purpose of the organization or the business. Which is why we teamed up with Sheehan Tile Works out of Gilford, New Hampshire to help add a branding element to every project they finish. 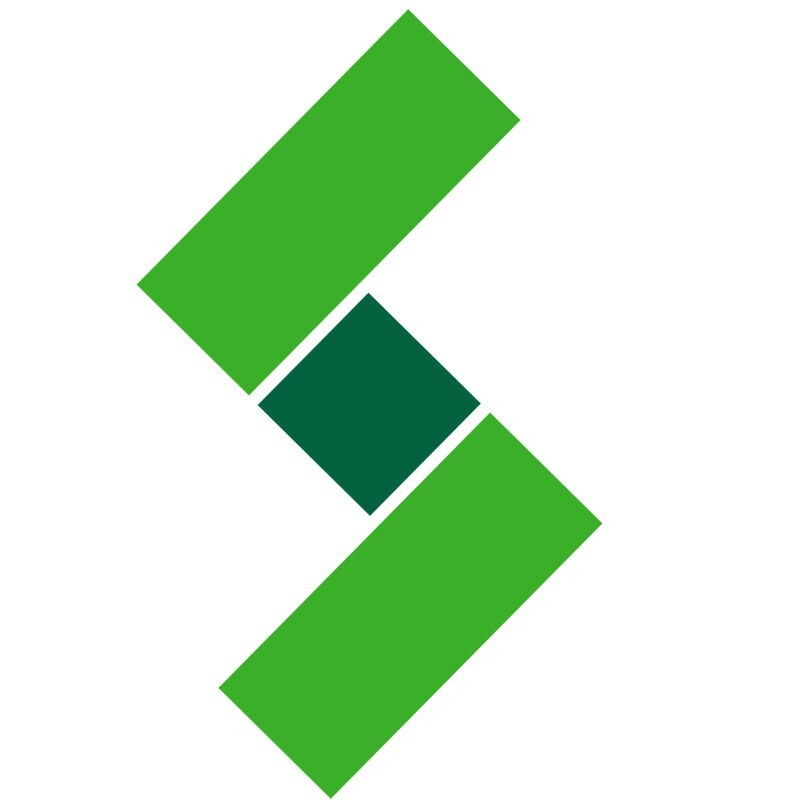 Step 1 – We received their logo in illustrator file. Step 3 : Garret sent us a prelim drawing. Step 4. More detailed drawing. Step 5. Rendering of concept drawing. Step 6. 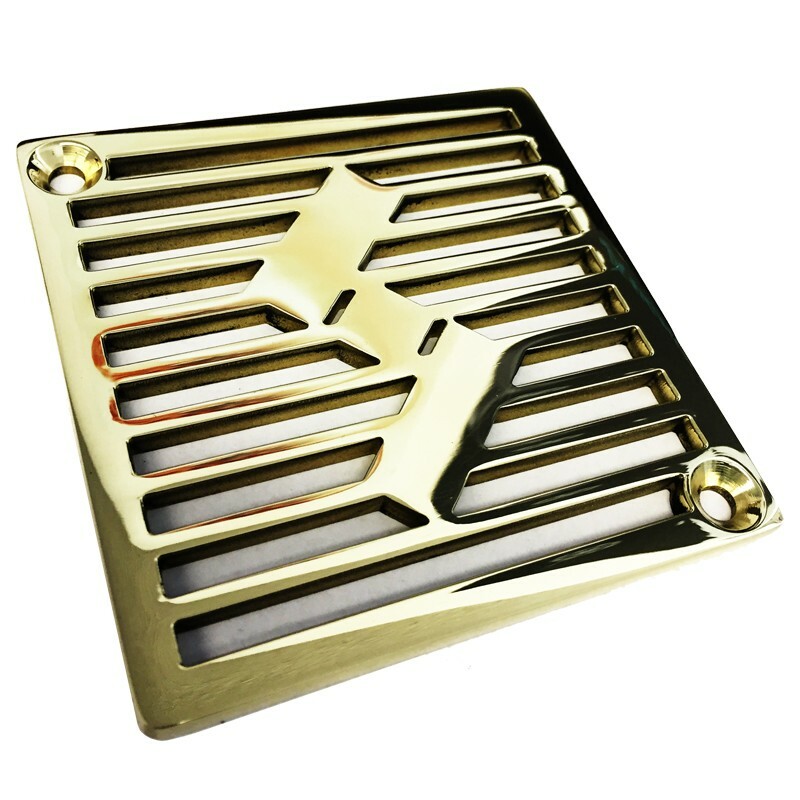 Final product in Polished Brass. Step 7. 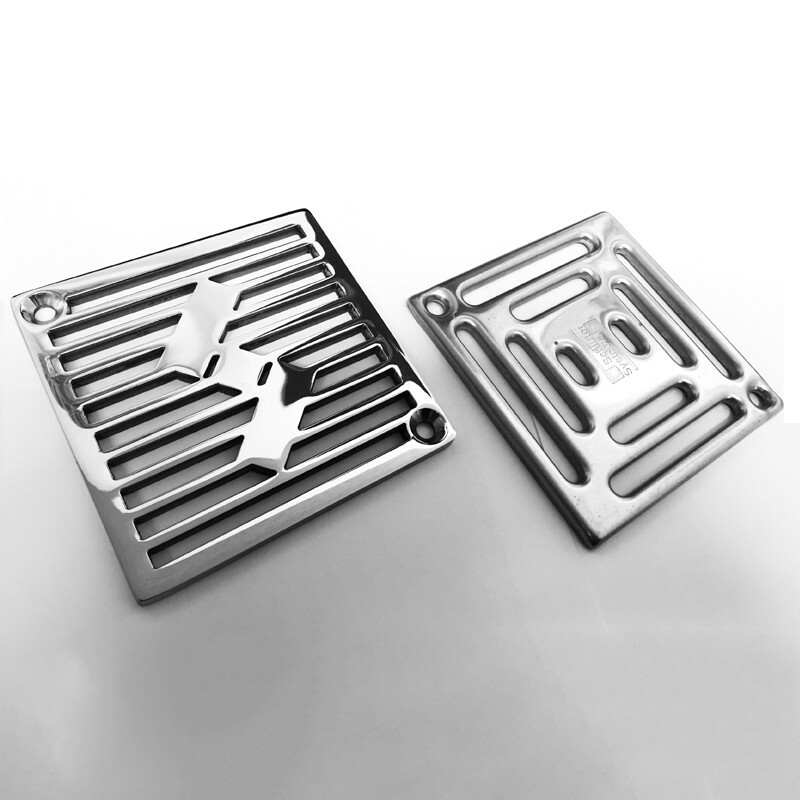 Side by side comparison of Sheehan branded drain cover vs Schluter stock cover. 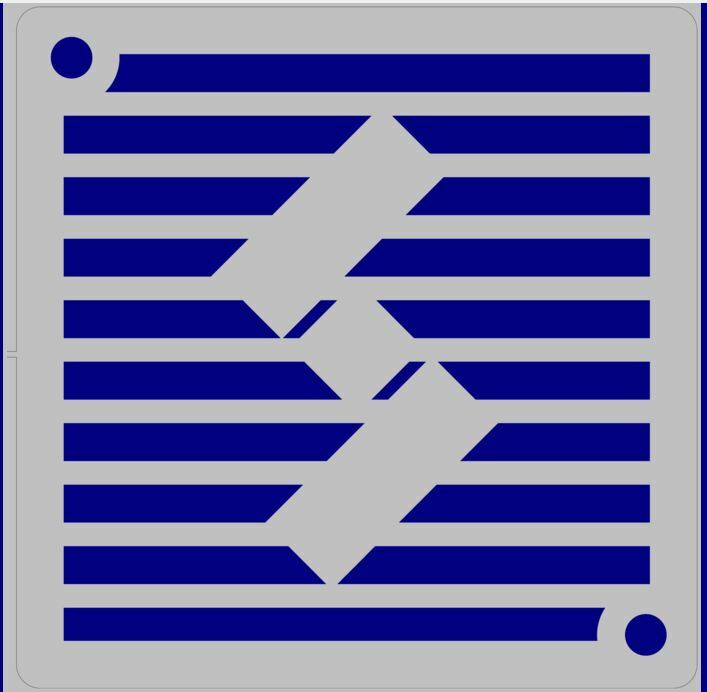 When you partner with Designer Drains, you are fully supported every step of the way as we work together in developing the right design for you. Upload your logo and let us take your business to the next level! 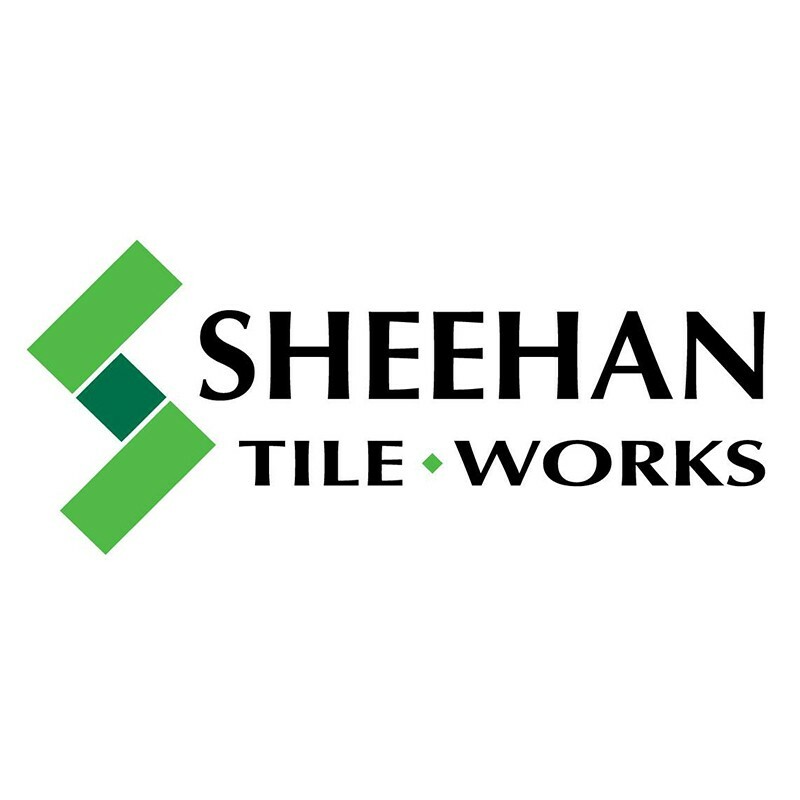 Thanks for finally talking about >Branding Hardware : Sheehan Tile Works. | Designer Drains <Liked it!